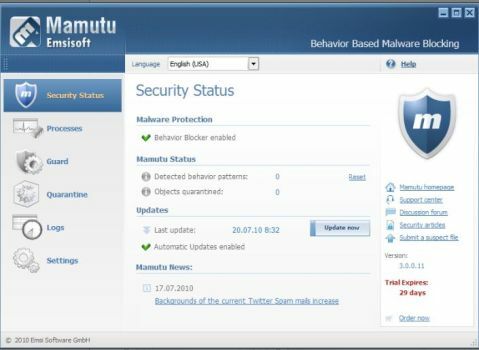 Mamutu 3.0, from Emsisoft, is a comprehensive, simple-to-use and powerful behavior-based malware blocker for Windows platform, which the company claims to run parallel with other anti-virus and firewall app without troubles, capable of detecting even more types of system attacks than before without depending on signatures, thanks to new Malware Intrusion Detection System (Malware-IDS). 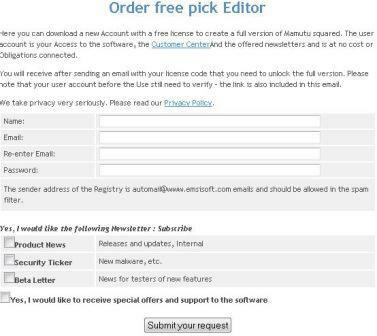 Emsisoft Mamutu 3.0 normally costs $27 per 1 year single license. As part of Emsisoft / PC Games Hardware time-limited promotion, the interested users are now entitled to download the full version of Emsisoft Mamutu 3 for free. 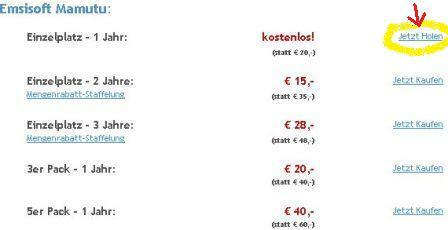 Press Jetzt Holen button and you will be directed to a registration page. Submit your details and you will receive an email that contains a confirmation link, and coupon code for the Mamutu 3.0. Click on the confirmation link to complete your registration process. Log in the Customer Center using your registered email ID and password. Press Manage Licenses and followed by”Get license by coupon code for converting your received coupon code to Emsisoft Mamutu 3.0 1-year free subscription. Download the setup installer of the Mamutu 3.0: MamutuSetup.exe. Note: The user name and password (Emsisoft) are needed to activate your Emsisoft Mamutu 3.0. Emsisoft’s Mamutu 3.0 is compatible with both 32-bit and 64-bit of Windows XP, Vista and Windows 7 operating systems.